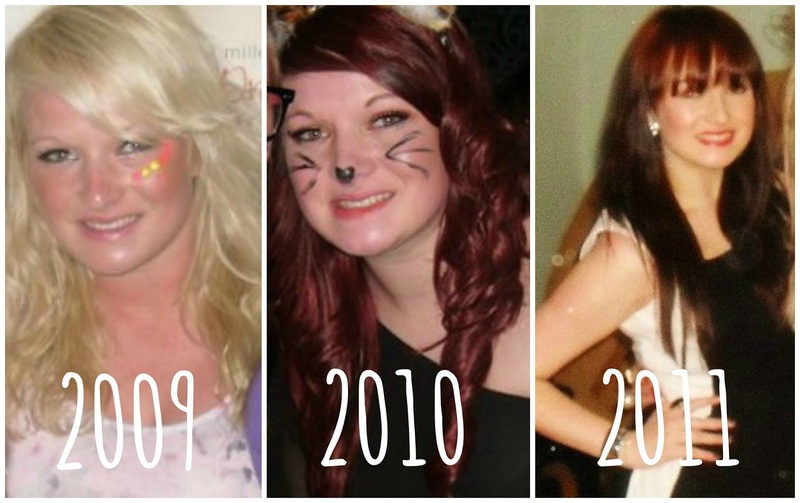 Over the years I've been good with my hair but I've also been VERY bad with my hair! I'm the sort of girl who gets bored with it easily and loves having a change, whether it being a colour or a cut I love having a revamp at least once a year! BUT over the last 18 months I have realised that, for me, doing my hair myself was just NOT the thing to be doing and have been religiously heading to my hairdresser to get my hair done! Back in Spring 2012 I thought I'd get rid of my extensions (RIP) and have my hair cut alot shorter but after a while it had grown a bit and was still feeling a bit pants so in November 2012 I decided that the only way for me to get my long thick hair from when I was 17 back I was going to have to go for the chop and get a proper bob - it was time to start a fresh and look after it well! I have to say this was the best decision I have ever had for my hair and I actually loved having my hair in a bob, it was so easy and fun but.... I did start to get bored of the one straightened look I went for 24/7 after a few months! In February for my birthday I received the whole Lee Stafford hair growth set and the Lee Stafford Argan oil and from this moment I have been on a mission to grow my hair out! Since using the Lee Stafford products ( and a few others ) I have noticed such a difference in the condition of my hair and it HAS been growing alot faster in my opinion. Aswell as using these products I have drastically cut down on using heat on my hair. Since February I have probably used heat on my hair less than 25 times - that is SIX months people, I think I'm doing well! Unless I am going on a night out I will just let my hair air dry and either put it up in bun or in a french plait style! It may not look as good but my hair feels soooo much better from it all and it's actually a treat now when I decide to straighten or curl my hair.... I can also always notice a massive growth difference each time where I only straighten it every couple of weeks or so! I go to hairdressers for a trim and a whole head of highlights every 12-16 weeks or so, leaving it this long does give me some major roots but it is so much better for my hair then going every 8 weeks, I love getting a bit blonder each time I go! So..... I thought I'd share with you my hair routine and the products that I use! I literally do not remember life before using these. I got my first one back in 2010 for Christmas and immediately fell in love! If you haven't used these before I seriously urge that you do, they are so much better for your hair than a normal hairbrush, they don't pull, they keep your hair strong and they also help keep it shiny, I honestly haven't used an ordinary hairbrush to brush my hair in nearly 3 years! I wash my hair probably 3 times a week and I near enough always use these, the Lee Stafford Hair Growth shampoo and conditioner. Like I said before I have been using them since February and I jut love the results they have. I know they are a little expensive for the size of the bottle you get (£6.99) but if you are sensible with the amount you are using you can make these last for weeks and weeks. (it is great if Boots have offers, it really helps save the pennies) I love love love the smell aswell! 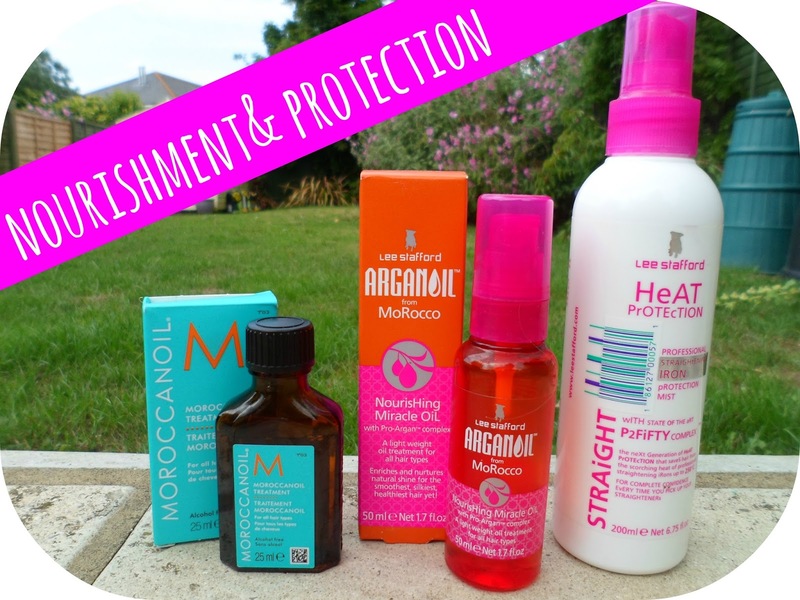 Everytime I wash my hair and it is towel dry/damp I always use either the Lee Stafford Argan oil or my NEW favourite hair product the Moroccanoil Treatment from the mid lengths of my hair to the roots , both these products work so so well and I don't know how I lived before using oils on my hair! They are so amazing for keeping my hair thick, strong and healthy and they last for so so long, the Lee Stafford one is the same one since February! Each Sunday (yes I have a set day!) 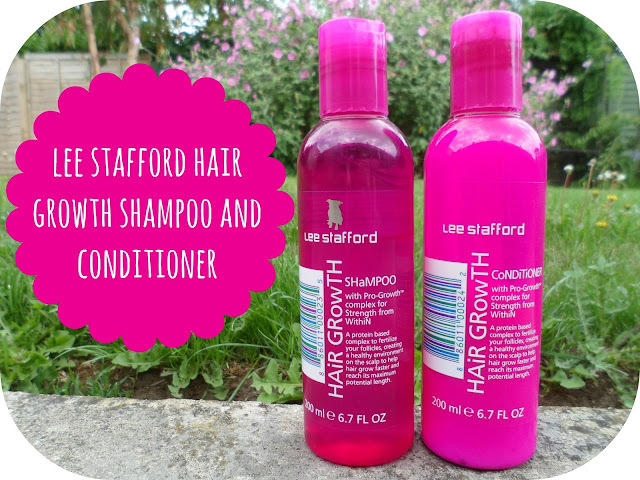 I like to use the Lee Stafford Hair Growth Treatment along with my shampoo and conditioner. I put this on after my shampoo and leave for around 5 minutes and then wash out and use my conditioner as normal. It is £7.99 and this normally lasts me about 8 weeks or so as I only use a egg sized amount once a week. As you can see I've stocked up (3 for £12 at the moment in Boots!) so this is likely to see me through until the end of the year! If you have been following my blog then you know a good few weeks ago now I bought the Lee Stafford Bleach Blondes shampoo and conditioner to try. 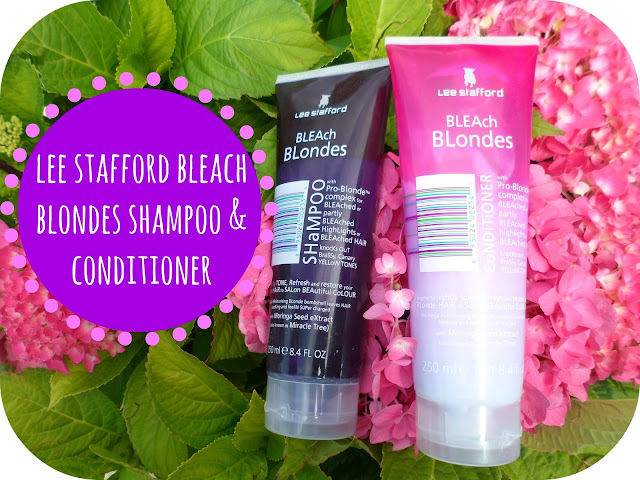 These products are toning products to help you loose any brassy or yellowy tones in your blonde hair (like the "touch of silver" shampoo that alot of people seem to be using). Originally I started using this once a week but I did find that it made my hair a little drier than usual so I have cut down to just using it once every 10 days or so! So far I think they have worked great and have definitely had a positive effect on the colour of my hair! Now down to something that I only do once a month/ every 6 weeks! If I have a day off when I know that I'm just going to be at home for the day (and not be seen by any members of the public!) I love to cover my whole hair in coconut oil..... in fact I am doing it right now! Coconut oil is great for so so many things and it mainly used for dry skin (that's even what it says on the label) but I'd heard by quite a few different sources say it is also great for hair aswell, so i tried it! I've been doing this for the past few months and each time it has left me with lovely soft, thick hair! 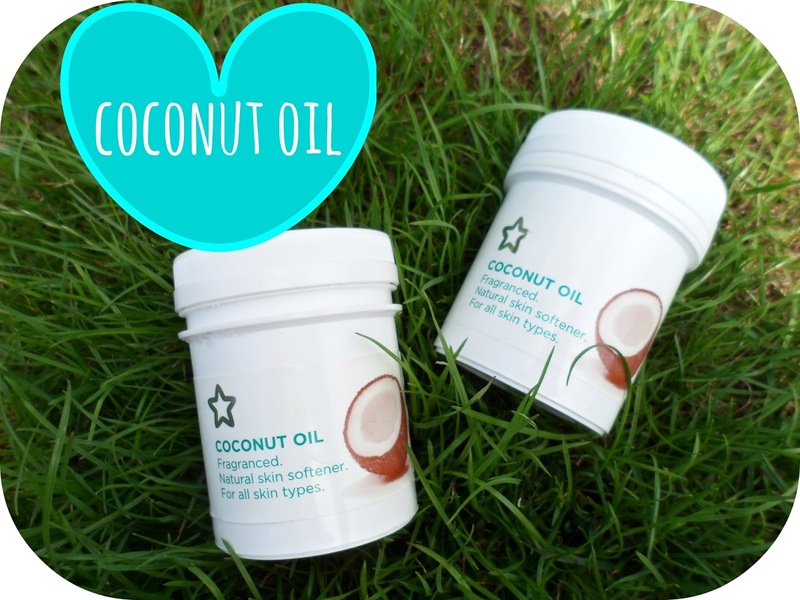 Coconut oil is a hard substance (a bit like the Palmers coco butter original formula) but when a little heat is added it immediately turns to an oil, so all you have to do is rub it between your hands and you have pure coconut oil to slap on your hair! This stuff is super cheap aswell, I got this from Superdrug and it was 2 for £3 - what a bargain for a product which has multiple uses! I hope you have enjoyed this post - let me know what you think and what products you use and love! 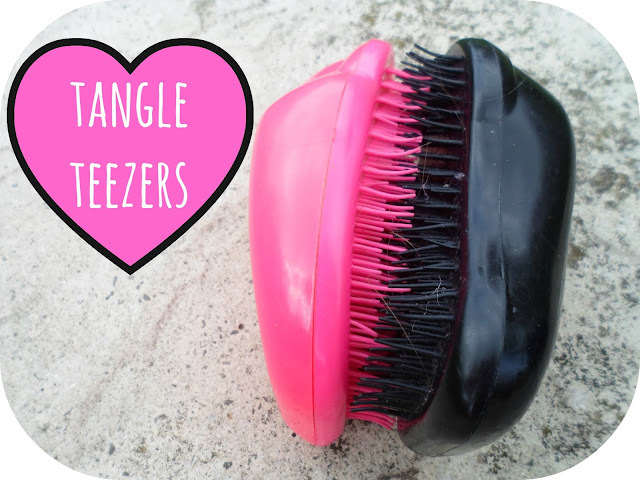 I actually couldn't get through life without a tangle teezer! I love my tangle teezer and adore coconut oil for my hair! Without coconut oil my hair would be a dry mess! Amazing post going to try almost every product you have put up. Been trying to grow my hair for the last 5 years hopefully this will do the trick ! Thanks so much !! Your hair is looking gorgeous! I really need to get my hands on a Tangle Teezer, although I don't need my hair to grow any more haha. Great post! i love this coconut oil from superdrug! its so afordable and work wonders! Ive gone every colour like you and finally my hair grew and wrecked it by going bleach blonde and im back to the growing stage again I dyed it brown(natural colour). I love the Lee Stadford serum and Moroccan oil! We have really similar hair, I'm currently growing out my bob and I am in the horrendous in between stage where its not even in a shape or style anymore! I'm definitely going to give the Lee Stafford Growth products a go! 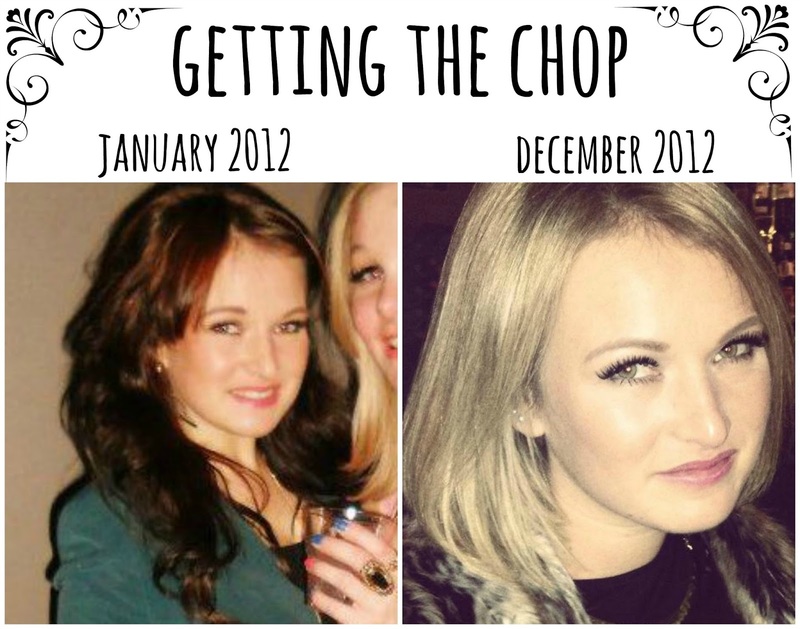 I have recently had all the unhealthy ends of my hair cut off and am determined to get it nice and long again! Thanks for the recommendations! I've literally just found your blog and I'm so glad I did! This post is beyond amazing, I've been looking for products that will help keep my hair in tip top shape and this is definitely a life saver, especially with me having blonde highlights. 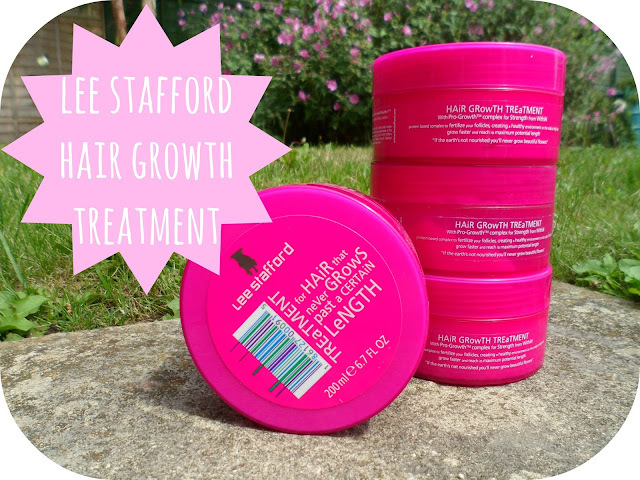 How amazing are the Lee Stafford growth and toning products? I'm sure Lee Stafford is a magician! So happy to have found your blog, definitely going to be a keen reader! Wow, your images shows that you try almost every hair style and you look beautiful in every hair style. After saw these pictures definitely your shared tips have worth for me and everyone who wants to make versatile hairstyles. Your shared tips are very helpful to know about the hidden things about perfect hair style. It is not a difficult job to find Hair care products. The difficult part is to find those Hair Care products which are entirely made with natural ingredients. For a long time I have been suffering from hairloss and split ends. Hairloss occured seasonally, but my hair did not have enough time for regrowth. Therefore, I had to cut my hair again and again, and could not grow it as long as I wanted. Home made recipes, as well as specials shampoos could provide only temporary results. The thought that crossed my mind is that the issue cannot be tackled externally. So I started googling up pills and dietary supplements for hair loss conditions. There are at least 30 products sold on the Internet that are designated as hair loss products. Their price range is also very diverse: from very cheap to very expensive. The product that caught my attention was called Hairgain formula (90 capsules) by Military Grade Nutritionals. In about three weeks of using it, I noticed that my hair got back its natural shine and hair strands got thicker. I also started detecting less split ends. So, now I am on my way to the hair of my dreams! Good and useful information about health thanks for sharing it. Oh this was so helpful ! Thank you so much helpful . All these problems like split ends and hair falls get solved with the help of the mentioned products. This will help softening the hair. For more style tips visit www.inonit.in and get all trendy. Want to buy Hair Care Products, skin care, tea tree oil, perfume fragrances. uhsupply offers a wide range of Beauty products to meet all of your hair care needs. This is really nice and Informational bog post regarding the hair care. Thanks for sharing with us. Baldness or alopecia is a condition of men, but women can get to suffer, in 99 percent of cases, hair loss is mainly hereditary and hormonal factors. Whether it is your diet, or the level of stress in your life, it affects the health of your hair, and reflects in the condition of the hair.